Entella was one of the major cities of the Elymian people (the other were Eryx and Segesta). ENTELLA, a city in the interior of Sicily, situated on the left bank of the river Hypsas (Belici), and nearly midway between the two seas, being about 25 miles from the mouth of the Hypsas, and much about the same distance from the N. coast fo the island, at the gulf of Castellamare. It was a very ancient city, and apparently of Sicanian origin, though the traditions concerning its foundation connected it with the Elymi and the supposed Trojan colony. According to some writers it was founded by Acestes, and named after his wife Entella (Tzetz. ad Lycophr. 964), a tradition to which Silius Italicus alludes ( “Entella Hectoreo dilectum nomen Acestae,” Sil. Ital. 14.205), while others ascribed its foundation to Elymus (Serv. ad Aen. 5.73), and Virgil represents Entellus (evidently the eponymous hero of the city) as a friend and comrade of Acestes (Aen. 5.387). Thucydides, however, reckons Eryx and Egesta the only two cities of the Elymi (6.2), and does not notice Entella at all, any more than the other places of native Sicanian or Siculian origin. The first historical mention of Entella is found in Diodorus, who tells us that in B.C. 404 the Campanian mercenaries, who had been in the service of the Carthaginians during the war, having been admitted into the city on friendly terms, turned their arms against the inhabitants, put all the male citizens to the sword, and made themselves masters of the place, of which they retained possession for many years. (Diod. 14.9; Ephorus, ap. Steph. B. sub voce Ἔντελλα.) During the subsequent wars of Dionysius with the Carthaginians, the Campanian occupants of Entella sided with their former masters, and even continued faithful to their alliance in B.C. 396, when all the cities of Sicily except five went over to that of Dionysius. (Diod. 14.48, 61.) It was not till B.C. 368 that the Syracusan despot was able to reduce Entella; the city appears to have still remained in the hands of the Campanians, but was now hostile to the Carthaginians, who (in B.C. 345) in consequence ravaged its territory, and blockaded the city itself Soon after we find the latter apparently in their hands, but it was recovered by Timoleon, who restored it to liberty and independence. (Id. 15.73, 16.67, 73. From this time we hear little more of it. The name is only incidentally mentioned during the First Punic War (Diod. 23.8), but it seems to have taken no part in the struggles between Rome and Carthage. It continued, however, to be a tolerably flourishing municipal.town: its territory was fertile in wine (Sil. Ital. 14.204) as well as corn, and Cicero praises the inhabitants for their industry in its cultivation (Cic. Ver. 3.43), but, like most of the cities of Sicily, it suffered severely from the exactions of Verres. We still find its name both in Pliny (among the “populi stipendiarii,” 3.8. s. 14) and Ptolemy (3.4.15), but no further notice of it is found in ancient authors. 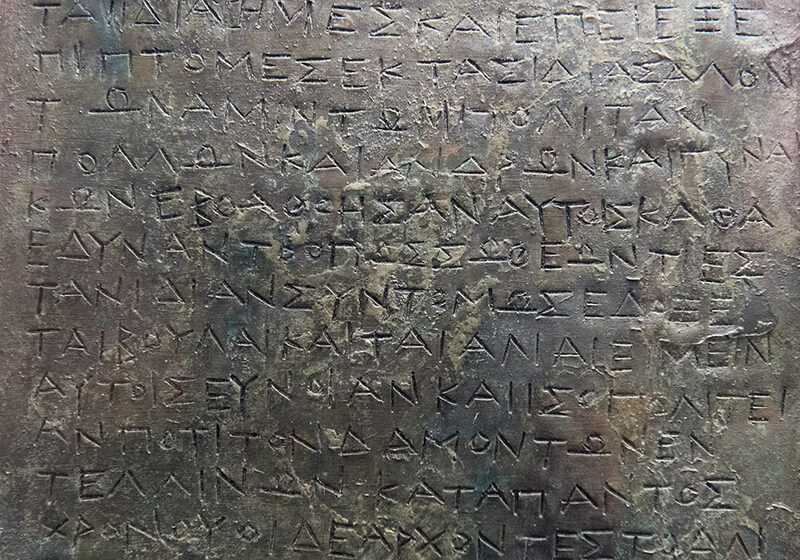 There are extant coins of Entella, with the legend ΕΝΤΕΛΛΙΝΩΝ at full; while others struck under the Campanian occupation of the city have ΕΝΤΕΛΛΑΣ, and on the reverse ΚΑΜΙΙΑΝΩΝ.